My favourite beach in Cornwall reminds me of why I threw caution to the wind many years ago! Have you often thought of throwing caution to the wind, and selling up to live the dream in Cornwall? Well, turn your dream into reality with the help of a property search agent such as Live Beside the Sea. Jayne the founder of Live Beside the Sea has helped many people do just that. Potential clients often get in touch even before their own houses are on the market, for a reassuring chat to establish if their dreams of a new life in Cornwall can be achieved. Will their budget buy them enough house down here? Where are the best schools? Where are the best locations in Cornwall for their chosen lifestyle? 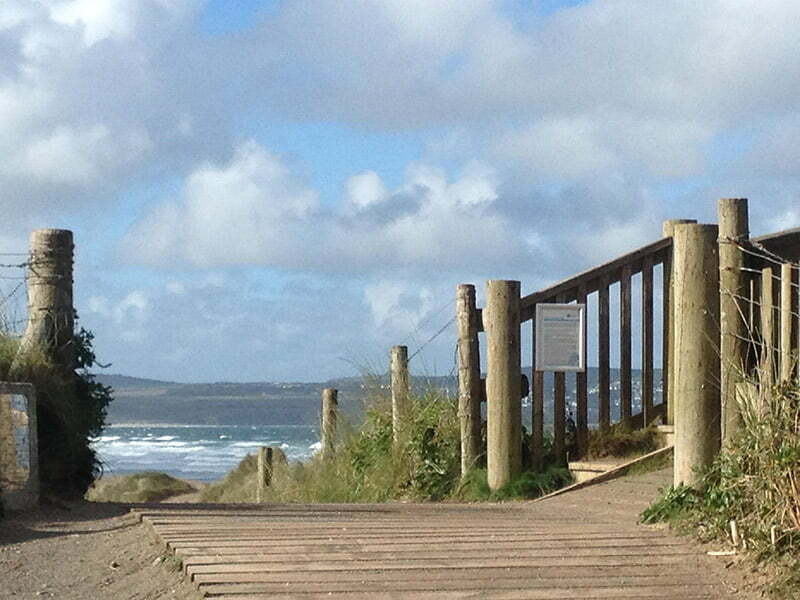 Coast verses country – do you want your wellies for walking on the beach or for long walks in the countryside? Much to consider and really quite scary – and new year is often a time that people take stock. You may be fed of of the commute to London or other cities, earning amazing salaries but suffering with stress and anxiety, wondering whether is this it? Or perhaps one partner has retired and is itching to move down west, but the other half is still a salary slave. With the Paddington to Penzance train and the updated A30 arterial road, it is possible to keep your finger on the pulse at the office by working 2 days in the city and buying a house with a home office. With superfast broadband and jobs that can be done from a laptop anywhere in the world, this dream can become a reality. Do get in touch with Jayne to find out how you can save time, stress and money. No more weekends and evenings trawling the property portals such as Rightmove, Zoopla and Primelocation, no more wasted trips down eating away at your precious free time.